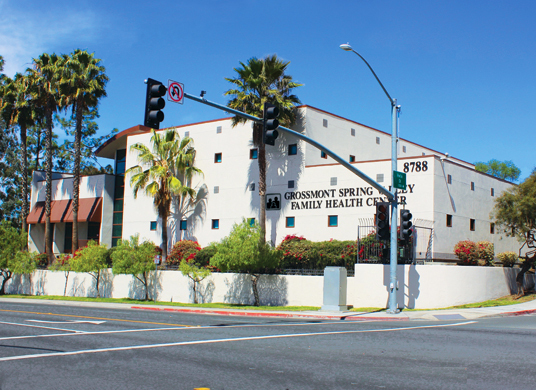 One of our largest clinics, Grossmont Spring Valley Family Health Center, serves the needs of an expansive and diverse community in eastern San Diego. Our professional staff can address the health care needs of your entire family with a wide range of health care services. We are proud to offer a family counseling center at this location, along with a dental clinic. In addition, the clinic has a large playground area for children to enjoy. We also offer late clinic hours on Tuesdays for patients’ convenience. Making an appointment is recommended, but walk-ins are welcome as well!